A writer, feminist, and pacifist, Alice Elizabeth Locke Parke was born Feb. 2, 1861, in Boston, Mass. ; her father, John Locke, a lawyer, was from New Hampshire and her mother Harriet was from Nantucket. She graduated from Rhode Island Normal School in 1879. She taught in the public schools in Cumberland, Smithfield, and North Kingstown, R.I., in 1880-1882. She married Dean W. Park, Sept. 27, 1884, and they had two children, Carl J. (b. Oct. 13, 1885, Colo.) and Harriet (b. Feb. 7, 1887, Colo.). Dean was a mining engineer and graduate of M.I.T., and the family lived in a number of places, including Montana, Colorado, Mexico, and Texas, following his jobs. Alice moved to Palo Alto in 1906 while her children were attending Stanford Univ. ; Dean died in Palo Alto May, 1909, in a bicycle accident. In 1910, Alice gave her occupation as “writer” for “papers, etc.” She was active with the California Equal Suffrage Assoc., and participated in the successful 1911 campaign for women’s suffrage in California. Subsequently, she continued to be active in suffrage work outside of California. She was branded as a “subversive” by the New York State Legislature, which noted that she belonged to the National Women’s Suffrage Party, and branded her a “sympathizer” of the Industrial Workers of the World (IWW). In 1912, she wrote a letter to the editor of Pacific Unitarian in support of the IWW. She later said that she could not remember when she became a pacifist, and called it a family tradition. She opposed the Spanish-American War, and displayed a peace flag on her house during the First World War. She helped form the Palo Alto branch of the Women’s Peace Party (WPP); Jessie Knight Jordan, wife of David Starr Jordan, the president of Stanford University, was also involved with the WPP. In 1915, she went to Europe on the Ford Peace Mission. With the entrance of the U.S. into the war in 1917, the Palo Alto branch of the WPP disbanded; Park then joined the American Union Against Militarism, and began holding meetings of the Palo Alto branch in her house beginning April 16, 1917; and when the Palo Alto branch publicly supported conscientious objectors, she was threatened with arrest. She went to meetings of the People’s Council in San Francisco (of which Rev. William Short, formerly minister of the Unitarian Church of Palo Alto, was an officer); she was presiding at a meeting in August, 1917, with David Starr Jordan on the speaker’s platform, when the meeting was raided by police. She continued her pacifist activities throughout the war, sometimes enduring illegal searches by the police. After the war, in 1919, she planned a meeting at the Palo Alto Community House (which Edith Maddux, another Palo Alto Unitarian, helped organize) to call for the release of all political prisoners. She was an early member of the Women’s Alliance of the Unitarian Church of Palo Alto, joining before 1910. However, she and Marion Starr Alderton withdrew from the Palo Alto church in June, 1920, in protest against “the attitude taken” by the church in the First World War. She died Feb. 17, 1961, just after her hundredth birthday. Notes: 1900, 1910, 1920 U.S. Census; Birth, Boston, Suffolk, Massachusetts, United States, town clerk office, FHL microfilm 592,869; Thomas W. Bicknell, A History of the Rhode Island Normal School, 1911; “School Officers and Teachers in Public Schools, 1880-1881,” Twelfth Annual Report of the Board of Education…of Rhode Island, Providence, R.I.: E. L. Freeman & Co., 1882, p. 9; “School Officers and Teachers in Public Schools, 1881-1882,” Thirteenth Annual Report of the Board of Education…of Rhode Island, Providence, R.I.: E. L. Freeman & Co., 1883, p. 9; Class of 1884 M.I.T. 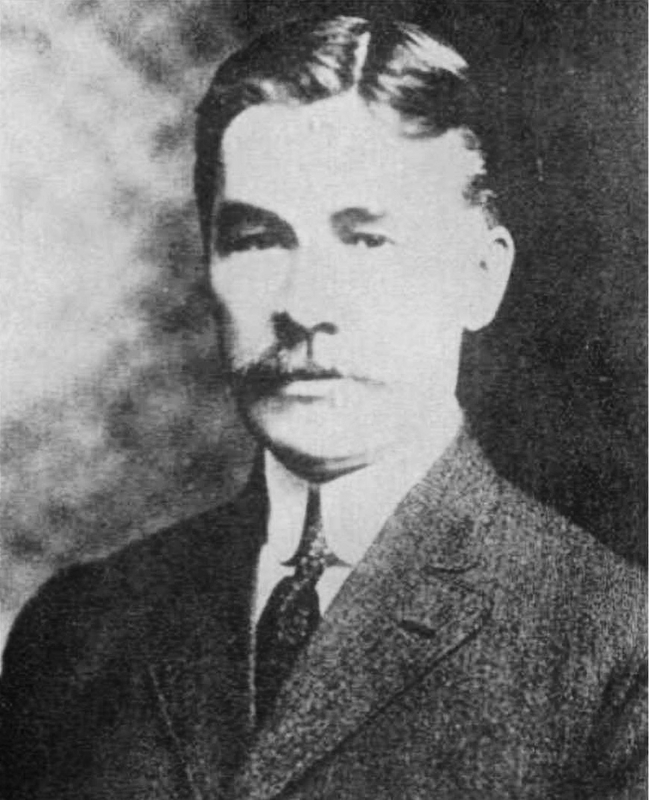 : 25th Anniversary Book, Boston, 1909, p. 114; “Dean W. Park” obituary, The Mining World, Chicago: Mining World Co., May 22, 1909, p. 991; Eunice Eichelberger, “‘Hearts Brimming with Patriotism,’” ed. Robert W. Cherny, California Women and Politics: From the Gold Rush to the Great Depression, Univ. Neb. Press, 2011, pp. 321-332; Pacific Unitarian, July, 1912, pp. 271-272; “The Ford Peace Party,” Revolutionary and Subversive Movements Abroad and at Home, Albany: N.Y. Legislature, 1920, p. 98 (for the meeting of the People’s Council that was raided, see also San Francisco Daily Call, Aug. 9, 1917); Board of Trustees minutes, archives of the Unitarian Church of Palo Alto; Nancy L. Roberts, American Peace Writers, Editors, and Periodicals: A Dictionary, Greenwood Press, 1991, p. 216. Park deserves additional research (though such research lies outside the scope of my current research interests). Sources for further research include the Alice Park papers at the Huntington Library, San Marino, Calif. (mssPK 1-338), and the Register of the Alice Park Papers 1883-1951 at the Hoover Institution, Stanford Univ. There is a Masters thesis on her, written by Paige G. Greenfeld: Yours for Women and Peace: The Feminism of Alice Locke Park, San Diego State University, 2003. A schoolteacher and supporter of women’s suffrage, Ann Upton Lawrence was born on Nantucket Is., Mass., on Oct., 1840, to Frederic W. Lawrence and Susan Hussey. Since her birth is recorded in the Quaker manner as “10th month” (rather than “October”), perhaps her family were Quakers; a Quaker upbringing could help explain her lifelong support of equal rights for women. Her life can be traced through the U.S. Census. In 1850, she was living on Nantucket Is. with her father and mother, and younger siblings Amelia and Everett; her father was working as an accountant. By 1860, she was living with her father in San Francisco, and working as a school teacher; her father was working as a clerk, and they shared a house with William H. Lawrence, a mariner, and his wife and child. Annie married Edward W. Corbert before 1866. In 1870, she and Edward were living in San Francisco, where Edward worked as “Assessor, Int. Rev.”; they had two children, Louise (b. c. 1866, Calif.), and Sadie (b. c. 1869, Calif.). In 1880, she and Edward were living in Martinez with Louise, Sadie, and Anita Lawrence (b. June, 1874, Calif.). By 1900, Annie was widowed and living with Anita in Palo Alto; Anita was working as a teacher. And in 1910, Annie was still living with Anita, as well as with her son-in-law, John Byxbee; John was the Palo Alto city engineer for whom Byxbee Park is named. Her civic activities were not limited to equal suffrage. She also found time to support the schools and the public library, and she belonged to the Palo Alto Woman’s Club, the Civic League, the Peace Society, and the Historical Society. She was active in the early days of the Unitarian Church of Palo Alto, and was one of the early members of the Women’s Alliance. She helped run the Unitarian “Post Office Mission” in Palo Alto. She sang in the church choir, and her “clear true alto” voice was “always a power in quartette singing, even to the time of her last illness.” She divided her time between San Francisco and Palo Alto, and was also an officer for the San Francisco branch of the Women’s Alliance. Notes: 1850, 1860, 1870, 1880, 1900, 1910 U.S. Census; Vital Records of Nantucket, Massachusetts, to 1850, vol. II—Births (G-Z), Boston: New England Historical Genealogical Society, 1926, p. 235; Gayle Gullett, Becoming Citizens: The Emergence and Development of the California Women’s Movement, 1880-1911, Univ. of Illinois Press, p. 109; San Francisco Call, Aug. 20, 1911; Pacific Unitarian, Aug., 1916, p. 262; Pacific Unitarian, March, 1915, p. 137. Effie June Scott Franklin — A professor of French and German, she was born Aug. 5, 1871, in on a farm in Carlyle Township, Kansas. 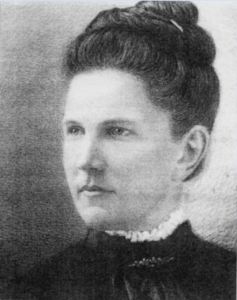 Her father, Dr. John W. Scott, came to Kansas in 1857, and was active in the free state fight, serving in the first state legislature; Dr. Scott served in the Civil War as surgeon of the Tenth Kansas, and after that war was president of the company that laid out the town of Iola, Kansas. Effie’s family family moved to the town of Iola, Kansas, in 1874. She graduated from high school in Iola, Kansas, in 1887. She had two older brothers: Angelo C., the eldest; and Charles F. Scott, ten years older than Effie, who represented Kansas for several years as a Republican in the U.S. Congress. After graduating from high school, Effie taught in the Kansas City, Kansas, schools, and then taught high school in Leavenworth, Kansas. She then began studies at the University of Kansas, receiving her A.B. in 1891. Subsequently she pursued graduate study at Cornell and at the University of Berlin. She was assistant professor of French and German at the University of Kansas for two years until her marriage in 1897; William Carruth was at that time professor of German. She married Edward Curtis Franklin on July 22, 1897, at Central Presbyterian Church in Denver, Colorado. She and Edward had three children: Anna Comstock (b. Sept., 1898), Charles Scott (b. c. 1902), and John Curtis (b. c. 1905). She was active in the Unitarian church in Lawrence, Kansas, and was a delegate from the Lawrence church to the National Conference of Unitarians in 1911 (the family lived in Washington, D.C., 1911-1913 while Edward worked for the government Hygenic Laboratory).. Prof. William Carruth was also a member of the Lawrence, Kansas, church before he moved to Palo Alto. Effie moved to Palo Alto in 1903 when her husband accepted a position as professor at Stanford. She was an early member of the Unitarian Church of Palo Alto, and was active in the Women’s Alliance. When Maria Protsman Scott, Effie’s mother, died in 1907, she was staying with her daughter in Palo Alto; however, it doesn’t appear that Maria was living with the Franklins. Effie was an accomplished pianist, and she was elected an honorary member of the Stanford Music Club in 1916. She died at her home in Palo Alto on March 31, 1931. Notes: 1900, 1910 U.S. Census; Graduate Magazine of the University of Kansas, 1931, p. 14; William E. Connolley, History of Kansas Newspapers, Topeka: Kansas State Printing Plant, 1916, p. 47; William E. Connelley, A Standard History of Kansas and Kansans, vol. 3, Chicago: Lewis Pub. Co., 1919, p. 1360; Iola Register, May 30, 1902; Jan Onofrio, Kansas Biographical Dictionary, St. Clair Shores, Miss. : Somerset Pub., 2000, p. 142; The Arrow of Pi Beta Phi, Ann Arbor, Mich.: Michigan Chapter of Beta, October, 1893, p. 118; Iola Register, July 30, 1897, p. 8; John William Leonard, Woman’s Who’s Who of America, 1914-1915, New York: American Commonwealth Co., 1914, p. 305; Christian Register, Oct. 19, 1911, p. 1095; Graduate Magazine of the University of Kansas, March, 1907, p. 224; Graduate Magazine of the University of Kansas, Dec., 1914, p. 91; Stanford Daily, Jan. 25, 1916, p. 2. Edward Curtis Franklin — A renowned chemist who grew up in Kansas while it was still part of the frontier, he was born in Geary City, Kansas, on March 1, 1862. He was raised in Doniphan, Kansas, where his father owned a saw mill and grist mill. At the time he was young, that part of Kansas still had the flavor of the frontier, to which some ascribed his later “noticeable impatience with convention.” As a boy, he enjoyed the outdoors, including hunting, fishing, swimming in the Missouri River, and collecting fossils; this love of the outdoors was to remain with him his whole life, and he was an active mountain climber who belonged to the Sierra Club, and summited a number of 14,000 foot peaks. He and his brother William, later a professor at Massachusetts Institute of Technology, made their own batteries, a two-mile long telegraph line, and their own telephone in 1877, only a year after A. G. Bell patented his tel-phone. After he graduated from high school, he worked for a pharmacy in Severance, Kansas, from 1880-1884, then at age 22 entered the University of Kansas. He received his S.B. from the University of Kansas in 1888, studied at the University of Berlin 1890-1891, and received his Ph.D. from Johns Hopkins University in 1894. He was a professor of chemistry at the University of Kansas from 1891 to 1903, and worked for a gold mining company in Costa Rica for a time in 1897. He was professor of chemistry at Stanford from 1903 to his retirement in 1929. As a chemist, he was best known for his work on ammonia and other nitrogen compounds. He was considered an excellent teacher who delivered exceptionally clear lectures. He married Effie Scott on July 22, 1897, in Denver, Colorado, and they had three children: Anna Comstock (b. Sept., 1898), Charles Scott (b. c. 1902), and John Curtis (b. c. 1905). After his wife Effie died in 1931, he lived with his daughter, Anna Franklin Barnett, in Palo Alto. In the last three years of his life, he took long auto-mobile tours of the U.S. and Canada, and died just two months after returning from the last such trip. He died Feb. 13, 1937. Notes: Alexander Findlay, Journal of the Chemical Society, 1938, p. 583; Howard Elsey, Biographical Memoirs, Nat. Academy of Sciences, 1991, pp. 67-75; Stanford Daily, Feb. 15, 1937, p. 1; Jan Onofrio, Kansas Biographical Dictionary, St. Clair Shores, Miss. : Somerset Pub., 2000, pp. 139 ff. ; obituary, Stanford Daily, Feb. 15, 1937; John William Leonard, ed., Men of America: A Biographical Dictionary, New York: L. R. Hamersly & Co., 1908; Pacific Unitarian, April, 1909, p. 186. Photo of Edward from a U.S. Government Web site, ihm.nlm.nih.gov/images/B06647, accessed May 23, 2017. Anna Comstock Franklin Barnett — A physician and graduate of the Unitarian Church of Palo Alto Sunday school, she was born Sept. 12, 1898, in Lawrence, Kansas, daughter of Effie Scott (q.v.) and Edward Curtis Franklin (q.v.). Her family moved to Palo Alto in 1903. In 1905, Anna was “one of the first pupils of the Sunday-school” of the Unitarian Church of Palo Alto. She received her A.B. from Stanford University in 1920, and her M.D. from Stanford in 1924. On July 12, 1924, she married Dr. George de Forest Barnett; he was a physician and professor of medicine at Stanford. They had two children, Margaret A. and Edward F. After the death of her mother in 1931, Anna’s father came to live with her. Anna joined the faculty of Stanford School of Medicine. Her husband, who had also taught at Stanford School of Medicine, died in 1955. Anna continued to live on campus after her own retirement. On Oct. 1, 1968, the Stanford Daily reported: “The badly decomposed body of Dr. Anna Barnett, a retired Medical School professor, was discovered in the hills behind Stanford Friday morning. The body was found near Stanford’s antenna farm at 7 a.m. by Eleanore Norris, a resident of Palo Alto, who was strolling in the area near Stanford’s antenna farm. Dr. Barnett, despondent over eye trouble and a scheduled eye operation, disappeared September 13. She left a note indicating she was contemplating suicide. A morphine overdose was determined as the cause of death.” The date of death on the death certificate was Sept. 27, 1968. Emily Elliott was born March 3, 1853 in Kane County, Ill., daughter of Wilson and Maria J. Elliot Edmund and Sarah (Smith) Elliott [corrected per comment below], both born in New Hampshire. Her family left Illinois and moved to a farm in California’s Central Valley when Emily was six; it seems likely that the family traveled overland on the Oregon Trail or the California Trail. In 1860 she and her parents were living in Elkhorn Township, San Joaquin County; her father was working as a farmer, and the Elliot family shared their home with another farmer and three farm laborers. Though not listed as a graduate, she studied at the California State Normal School c. 1870. In 1870, she was living in San Francisco and “attending school”; the State Normal School was then in San Francisco. Emily taught school in Oakland for seven years. She married Dr. Enoch H. Pardee on July 19, 1879, when she was 26 and he was 52; Enoch’s 22 year old son George was not pleased when his father remarried. Enoch was mayor of Oakland and a co-founder of the Unitarian church in Oakland. Enoch and Emily had one child, a daughter Eleanor (“Nellie”), born in 1880. Enoch died in 1896, and four months Nellie, then age 15, also died. After a legal battle with Enoch’s son, Emily received a third of Enoch’s substantial estate. Enoch’s estate was valued at approx. $275,000, or roughly $8 million in 2016 dollars; so Emily received the equivalent of $2.6 million. For the next few years, she traveled extensively. She married William A. Karns, a lawyer, in Baltimore on March 21, 1898. The couple moved to San Jose where William practiced law. Emily settled in Palo Alto in 1903. In August, 1906, William filed suit for divorce on the grounds of desertion. A bitter legal battle ensued, during which Emily revealed that she had indeed left her husband, but had done so on advice of a physician. William was denied a decree of divorce. Then in 1913, Emily filed for divorce on the grounds of desertion and failure to provide. This time, William did not appear at the trial because he was a fugitive from justice, and Emily received a divorce decree under which she retained control of extensive property interests. Emily supported woman suffrage, and in 1911 was the president of the Palo Alto Suffrage League. She was one of the early members of the Woman’s Club of Palo Alto. and served as president. She was active with the Daughters of the American Revolution, and the local chapter was organized at her house in 1924. In 1916, she married a third time, to James Leroy Dixon, who was some twenty years younger than she (b. c. 1874). Leroy was a Stanford graduate, and in 1916 was principal of the high school in Lakeport, Calif.; by 1919 he was teaching at San Francisco Polytechnic High School. Their marriage lasted only three years. She was an early member and later president of the Women’s Alliance, and was active in the national Unitarian Women’s Alliance. In 1908, she hosted the Sunday school picnic on the ten-acre grounds of her Palo Alto house. She later gave the house grounds to the City of Palo Alto as a park to memorialize her daughter Nellie. In 1909, Emily was a delegate to the Pacific Unitarian Conference in Seattle. She died on Feb. 5, 1940, in Palo Alto. Notes: 1860, 1870, 1880, 1920 U.S. Census; John W. Leonard, Woman’s Who’s Who of America, New York: American Commonwealth Co., 1914; Historical Sketch of the State Normal School at San José, Sacramento: State Office, 1889; “How Palo Alto’s Pardee Park Came To Be,” Pardee Home Museum Newsletter, Nov., 1999, pp. 2-3; “The Pardee Home Histo-ry,” Pardee Home Museum, www.pardeehome.org/history.htm, accessed May 23, 2017; Emily Karns Dixon, Daughters of the American Revolution Magazine, 1948, p. 758; San Francisco Call, July 9, 1913, p. 2; Stanford University Alumni Directory, 1921; Calif. State Board of Education, Directory of Secondary and Normal Schools, Sacramento: Calif. State Printing Office, 1916, p. 33; Calif. State Board of Education, Directory of Secondary and Normal Schools, Sacramento: Calif. State Printing Office, 1919, p. 117; Pacific Unitarian, Aug., 1909 p. 294. N.B. : In early records of the Unitarian Church of Palo Alto, she appears as Emily S. Karns, later as Emily Karns Dixon. Mabel Mead lived in Palo Alto for less than a year, but her life story is interesting enough to recount in some detail. A schoolteacher for many years, she was born Dec. 30, 1870, in Ledger, New York to Louise and Alexander Mead (Greeley Daily Tribune, May 12, 1961). She received her B.S. from Cornell in 1898 (Fifteenth Annual Register, 1905-06, Stanford University); her sister Mildred was at Cornell at the same time she was (Cornell Era, April 21, 1900, class notes, p. 257). By 1900, at the age of 29, she was a schoolteacher, living with her parents in Greeley, Colo. (1900 U.S. Census). Louise was born Mar., 1851, in New York. She married Alexander Mead c. 1870 in New York state. In 1880, Louise and Alexander were living in Greeley, Colo., where Alexander was an agricultural implements dealer. By 1900, Louise and Alexander were running a rooming house in Greeley, with seven children: Mabel (b. Dec., 1870, N.Y.); Edgar (b. Sept., 1872, N.Y.); Ella (Jul., 1874, N.Y.); Mildred (b. Jul., 1875, N.Y.); Worthen (b. Sept., 1880, Colo.); Alexandra (b. July, 1884, Colo.); and Wilhemina (b. Sept., 1889, Colo.) (U.S. Census, 1880, 1900; in the 1900 Census her name is misspelled Luiese). The family Moved to Greeley sometime between 1875 and 1880. Alexander Mead was a Trustee for the city of Greeley for the year 1883. A Unitarian church had formed in Greeley, Colorado, in 1880; perhaps the Meads were members. (David Boyd, A History: Greeley and the Union Colony of Colorado, Greeley Tribune Press, 1890). The Cornell Alumni News, vol. 7, Dec. 21, 1904 (Ithaca, N.Y.: Cornell University), ran the following notice: ” ’98 B.S. The marriage of Miss Mabel Mead to R. J. Wright was celebrated at Greeley, Col., this fall. Mrs. Wright is now connected with the social settlement work in the Italian District of Denver. She has charge of the North Side neighborhood house, the centre of settlement work in the northern part of the city.” But I found no other mention of R. J. Wright, and Mabel had resumed the name Mead by 1905. Perhaps this mysterious event precipitated her removal to Stanford for a year of study? In any case, by autumn, 1905 she was a student at Stanford, living with her mother Louise at 742 and later 750 Bryant St. (Directory of Palo Alto, Mayfield, Stanford University, Jan., 1906; Cornell Alumni News, vol. 3, no. 25, March 28, 1906). She studied Romanic Languages (Fifteenth Annual Register, 1905-06, Stanford University); however, her name does not appear in later alumni directories. She lived in Palo Alto for less than twelve months. While living in Palo Alto, she and her mother Louise were two of the early members of the Women’s Alliance of the newly formed Unitarian church (Women’s Alliance records). By fall, 1906, she was teaching German, Spanish, and “physical culture” at a high school in Orange, Calif. (Cornell Alumni News, Oct. 3, 1906). She married Tracy C. Marsh before 1917; they had one son, Alexander Mead Marsh who was born c. 1913 (1920 U.S. Census). After her husband died in Nevada, she moved to Sutler, Calif., where she taught school until her retirement sometime before 1935; then she moved back to Greeley, where she was “prominent in civic and club work” (Greeley Daily Tribune, May 12, 1961). Back in Greeley, she lived with Edgar, Ella, and her son (1940 U.S. Census). In 1961, at age 90, she moved to Aberdeen, Md., to live with her son (Greeley Daily Tribune, May 12, 1961). She died in Annadale, Va., Feb. 2, 1975 (Cornell Alumni News, May, 1975, p. 80). Further research might uncover additional information about Mabel Mead Marsh. It would, for instance, be interesting to search the membership records of the Greeley Unitarian church to see if the Mead family had been members there. It might also be possible to track down records of the Denver settlement house where she worked. However, it seems unlikely that we’ll ever find out what happened with R. J. Wright, and why she decided to attend Stanford at the age of 36. 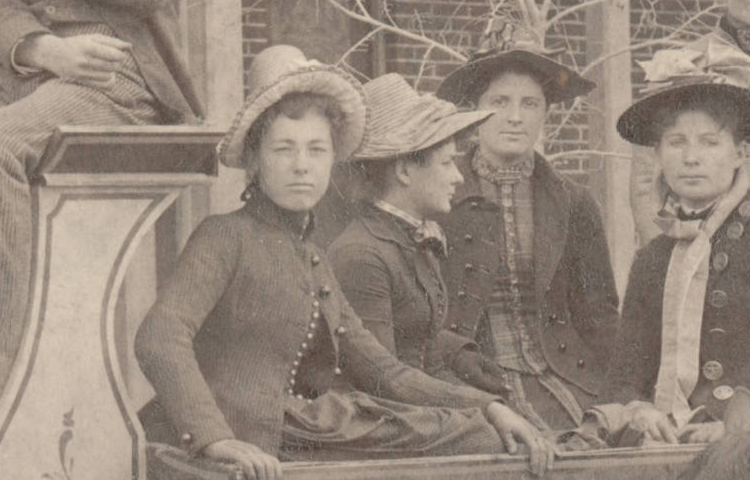 Above: Detail from a photograph in the collection of the Denver Public Library (call. no. Z-7616) showing Mabel Mead Marsh in a horse-drawn coach in Greeley, Colo., between 1890 and 1900; Mabel is at the back, right of center. Mary Frances (Greer) Rosebrook, and George H. Rosebrook, lived a pioneer life in Oregon before settling in Palo Alto in 1892. Mary Frances (known as “Fannie” at the time) traveled the Oregon Trail in 1852, when she was 6 years old, with her parents and siblings. George married Fannie in 1882, the same year he received a patent for a homestead farm in the Willamette Valley. ROSEBROOK, MARY FRANCES GREER — Over the course of her life, she went by Frances, Fannie, and (after 1900) Mary. She was born Jan., 1846, in Missouri; her parents, James and Margaret, were both from Ireland, where they were married in 1832. James went to the California gold fields in 1850, where he heard about Oregon; in 1852, James and Margaret took their family, including Fannie, on the Oregon Trail; a quilt that Margaret had made in 1840, and which came with them on the trail, may be seen in the book Quilts of the Oregon Trail (Mary Bywater Cross, 2007, p. 68). The family settled in Kings Valley, Ore., in Sept., 1852, and there James worked as a farmer. “Fannie” married George H. Rosebrook on Apr. 12, 1882, in Polk, Oregon. She and George had no children together, although George had one child by a previous marriage. They moved to Palo Alto in 1892. Mary was a member of the Palo Alto Woman’s Club. She was active in the women’s suffrage movement, and served as treasurer for the 1907 Annual Convention of the California Equal Suffrage Assoc. (Western Woman, vol. 1, no. 14, Oct. 1907 [San Francisco], p. 12). Mary was one of the charter members of the Unity Society in 1896, a lay-led Unitarian group gathered by Rev. Eliza Tupper Wilkes, and she served on the Committee on Executive and Finance. Then in 1905, she became one of the earliest members of the Unitarian Church of Palo Alto. She joined the Women’s Alliance in about 1905. She also served in other leadership roles in the church. ROSEBROOK, GEORGE H. — He was born Oct., 1846, in Gouldsboro, Maine. He married Margaret A. Graham, Sept. 9, 1874, and they had one son, Joseph Wilton (Benton County [Ore.] Genealogical Society, www.chateaudevin.org/bentongs); Joseph was born May, 1876, in Oregon. By 1880, George was widowed and living “in [a] Lighthouse” (1880 U.S. Census) in Newport, Oregon, with his son Joseph and his mother Mary A.
George was issued a patent for 150 acres of land for a homestead near Willamette, Ore., on Apr. 10, 1882 (Benton Cty. Gen. Soc.). He married Fannie (Mary Frances) Greer on Apr. 12, 1882. 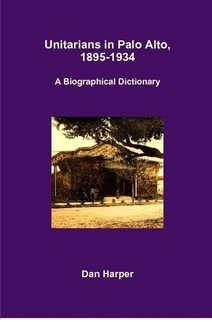 He and Fannie came to Palo Alto in 1892; once in Palo Alto, he became a carpenter who built a number of houses, including a house he built for himself and Mary F. in 1893, at 225 Emerson St. (Historic Buildings Inventory, City of Palo Alto, 1978). George’s son, Joseph, also moved to Palo Alto. He attended Stanford briefly in 1897. He became a builder like his father, married a Presbyterian in 1900 (Palo Alto Times, June 22, 1900); Joseph appears never to have gotten involved with the Unitarian Church. George’s wife Mary was part of the Unity Society of Palo Alto in 1895-1897; George may have been, too, but almost no records of that early Unitarian group survive. George was one of the early members of the Unitarian Church of Palo Alto, probably joining in 1905. He served on the Board of Trustees of the church. Karl and Emma E. Rendtorff were two of the key leaders of the old Unitarian Church of Palo Alto (1905-1934). Emma’s mother and sister happened to be living in Palo Alto 1905-1908, and also got involved with the church. With baby Gertrude, there were thus three generations of Meyers/Rendtorffs involved with the founding of the church. Palo Alto was a small town, with a population of 4,486 in 1910; 5,900 in 1920 (Sawyers, History of Santa Clara County, California, 1922). The town really wasn’t big enough to support a Unitarian church, and I suspect the church never got bigger than what Arlin Routhage calls “family-size” — that is, a small church that acts more like a family, with matriarchs and patriarchs. I further suspect that Karl and Emma E. Rendtorff were two of the matriarchs/patriarchs. Their extended family is of interest for this reason alone. But their extended family is also of interest because of the characteristics they share with so many other members of the church. Karl and Emma both spoke German, and both were associated with Stanford; as was true of many members of the church. Karl was trained as a librarian, and there were at least half a dozen other librarians who were part of the congregation; he was a pacifist, and there were many other pacifists in the congregation. Emma was a woman with a college degree in an era when that was uncommon, and she was an experienced teacher; many other women in the congregation also had college degrees, and some were experienced and dedicated teachers (like her sister and daughter).